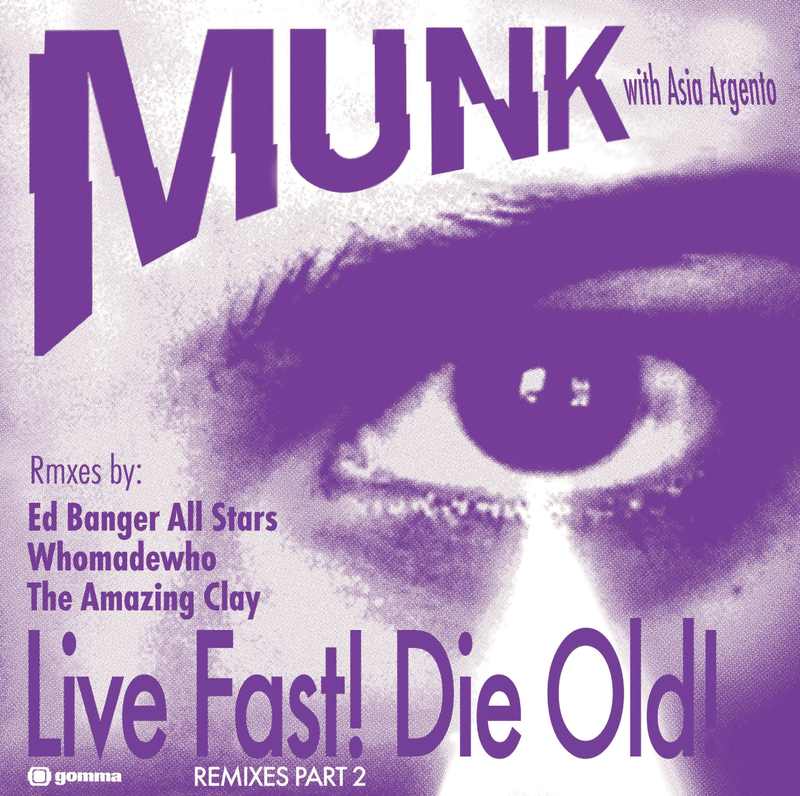 ED BANGER Records chief BUSY P is a huge fan of MUNKs piano disco anthem LIVE FAST DIE OLD (from MUNK’s new album “Cloudbuster”).. When Busy heard it for the first time he immediately wanted to make an own version of it. And here it is: the first ever ED BANGER All Stars Remix! And it’s banging!! The flip side features an deep space techno extravaganza by Danish discogrungers WHOMADEWHO. Their first release since two years. And it’s a genrehopping master piece. Starting with a easy Minimal beat . Developing into a 6/8 s Shaffel Techno and ending up as intense Technodiscorock. Amazing. 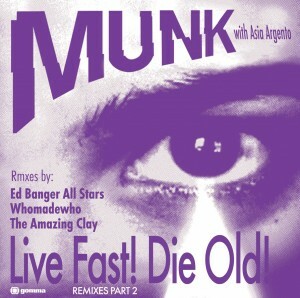 Third Remix is a BAILE FUNK remix by Rio de Janeiro’s underground DJ number one: THE AMAZING CLAY.